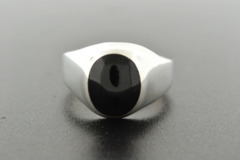 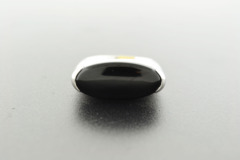 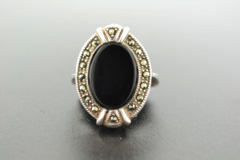 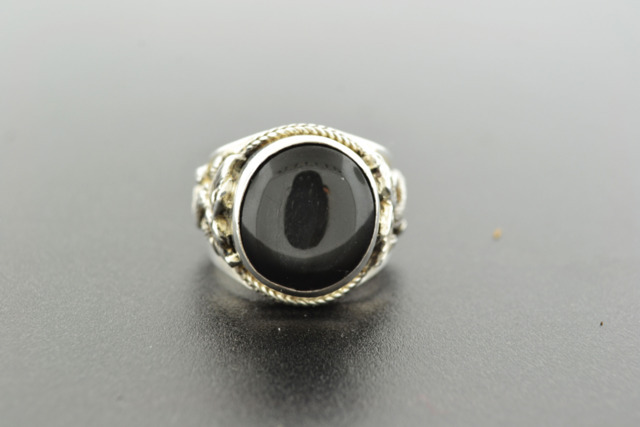 Oval Cabochon-Cut Black Onyx Bezel-Set in Sterling Silver ring. 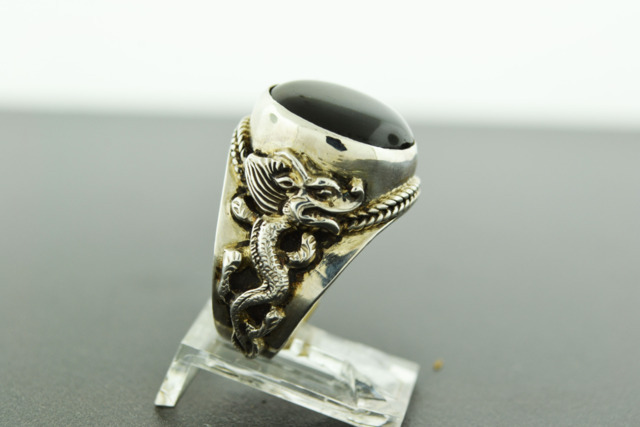 Ring has dragon engraved on the sides. 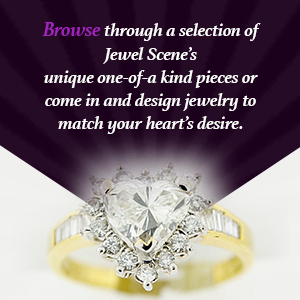 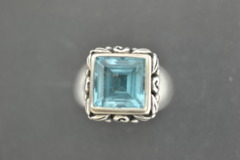 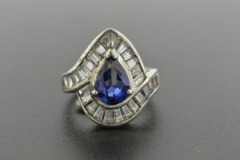 Jewel is 16x15mm and the ring weighs 11.6g.